Contacting your garden service to either increase or decrease their visits during the month. PROPERTY NEWS - As summer sets off for the horizon and an autumnal chill enters the air, your garden's needs and desires change. Just as you'll need to pull out the fluffy blankets and jerseys from storage, you'll also need to make sure your garden's got what it needs to get through winter. Before you start thinking about replanting, replacing, or clearing out seasonal plants and flowers, it's best to start adjusting your gardening schedule in accordance with the season. Typically, most of South Africa experiences their rainy season during the summer months, so if you live in KwaZulu-Natal, Gauteng, Mpumalanga and other northern regions, you'll need to adjust your gardening schedule to accommodate for less rain during the winter months. If you live in the Western Cape, however, you'll be preparing for more rain than usual, and with the recent drought we're now recovering from, it'll be a welcome sight. Contacting your garden service to either increase or decrease their visits during the month. Typically, during rainy seasons, you should increase the number of times your garden service visits, as more rain leads to grass growing more quickly. In the colder regions of South Africa, preparing for frost - and possibly snowfall - is important. Frost and snow can seriously damage your plants and garden. You might need to arrange shade cloth, or other types of protection for your flower beds and delicate plants. 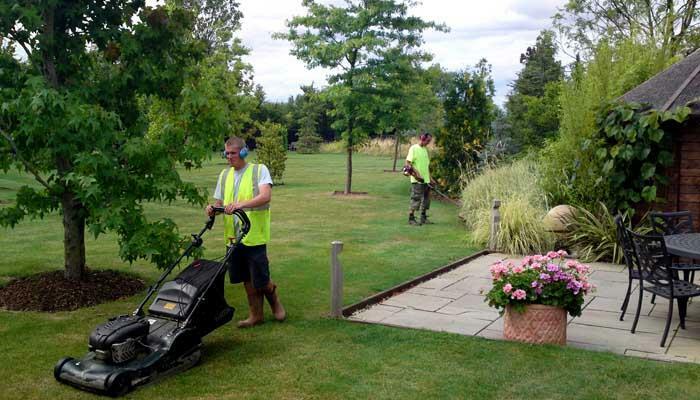 Your landscaping company can assist with adjusting your garden in accordance with the season ahead. Adjusting your garden for the big winter chill gives you the opportunity to install new features, change things up, and incorporate new elements into your garden. Your landscaping company can assist with adjusting your garden in accordance with the season ahead. Keeping your garden colourful during the colder months will mean changing things up for winter. The start of autumn heralds a time for planting new flowers, so get your gardening gloves on and start with new seedlings and plants. When planting for winter, choose hardier shrubs and bushes that are suited to cooler climates and seasons. Indigenous plants are a great idea, as these are naturally adapted to your region's climate and seasonal changes. Select colourful flowers that thrive during the colder months, like phlox, petunias, and fairy primrose flowers. And don't forget to add an extra layer of mulch to your flower beds - this helps the soil to retain heat and leads to less damage as a result of the cold. You might be starting a vegetable garden at home, or you may be preparing to steer your harvest towards the winter season. In the northern regions of South Africa, you can expect less rain than you received during the warmer months, so it's a good idea to plant the following during autumn: garlic, beans, spinach, cabbages, and carrots. In the Western Cape and along the southern parts of the country, you can expect more rain than you received during the summer months, so plant the following during autumn: beetroot, cabbages, lettuce, and onions. You enjoyed picking fresh herbs for your summer evening meals, but now it's time to prepare for a round of winter-friendly herbs and spices. The following herbs are good to have in your winter herb garden: Thyme is quite a hardy, yet versatile, herb that could feature in many a winter dinner. Everybody loves a little garlic, and it's relatively easy to grow during winter. Origanum can easily withstand the winter chill and frost, and it tastes great as part of those wholesome Italian dishes you love to savour on a chilly evening. Make sure your vegetable and herb gardens are protected from the winter elements. Shade cloth or other types of covering may be required to ensure you have a happy winter harvest! 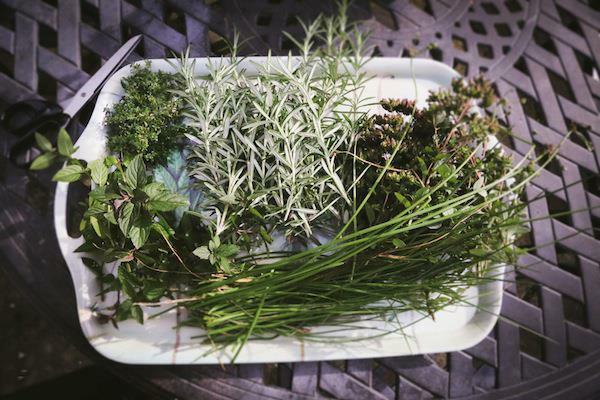 You enjoyed picking fresh herbs for your summer evening meals, but now it's time to prepare for a round of winter-friendly herbs and spices. Give your garden a good autumn clearing-out. 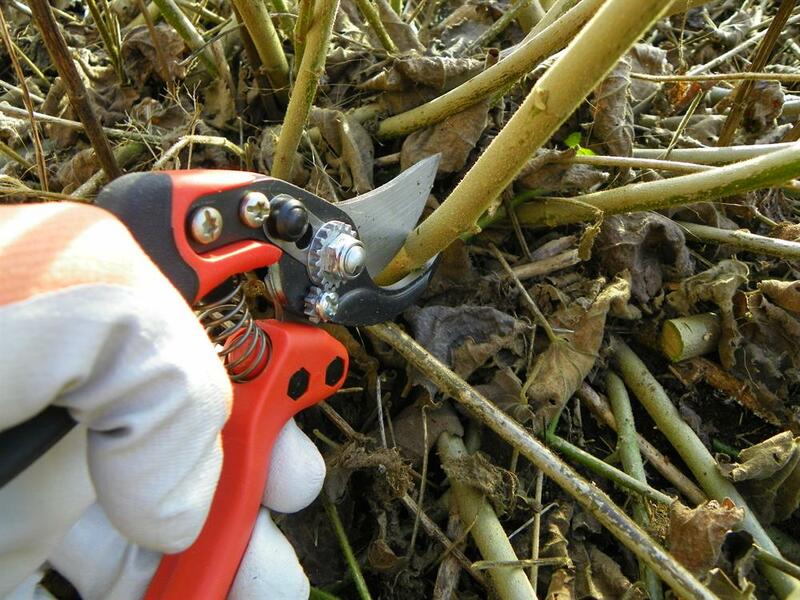 Cut back the bushes and shape your shrubs. Assess your trees to ensure they are healthy and not disturbing the foundations of your house. If necessary, cut back overhanging branches - especially if they're extending over into your neighbour's property. Gather all fallen leaves from your trees, and use them in your compost heap or flower beds. A good layer of fallen leaves can help your flower beds retain heat, thus reducing the amount of moisture lost by the soil.